Delicious! A simple, basic recipe that anyone can make.Tasted great - the whole family enjoyed it! For me, lunch is always the heaviest meal I eat. That is because I am the hungriest during that period. Therefore, I tend to have most of my calories at lunch. One of the easiest things I make is Broccoli and Chicken Pasta. Now I know a lot of fitness fanatics are like what? Pasta? And I am like Yes! Pasta! My trick to having pasta while still trying to lose weight is what I call VOLUMISING. That means using 2-3 times as much protein and veggies than pasta. For example, If I have I cup of pasta, I will use about 2-3 cups of vegetables and about 1 cup of protein. That way I am eating way more low carbs veggies and protein and still enjoying a little pasta. 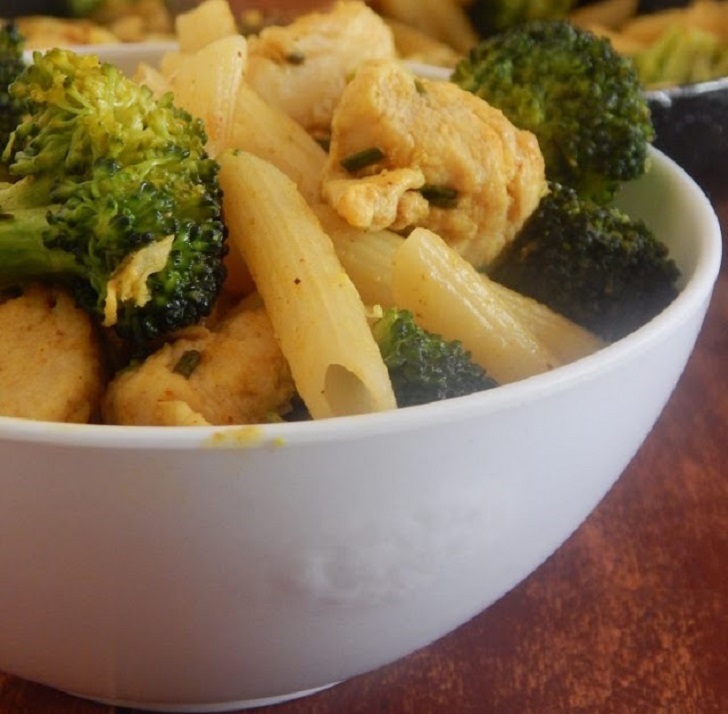 Chicken and Broccoli Penne is easy to prepare and combines simple, delicious ingredients for a meal that your family will ask for again and again. Boil your pasta with salt as per the directions on the package. In a pan, cook some onions and garlic in salt and add your strips of chicken breast. Add salt, black and cayenne pepper to the chicken breast. You can also sprinkle on some mixed spice. Once the chicken is cooked, you can add in your broccoli. Let it cook for about a minute or two so that the broccoli remains almost raw. Add in the cooked pasta and toss it to make sure that everything is evenly distributed. Taste and add salt and pepper if necessary. Always use free-range chicken if you can. As well as it tasting better and being kinder to the chickens, it’s naturally lower in fat than the meat on more intensively farmed birds.